US Secretary of State Mike Pompeo arrived in Hungary on Monday, on the first leg of a European tour, hoping that economic and defence incentives will dissuade Prime Minister Viktor Orban from getting too close to Russia. Pompeo is set to meet Orban on the one-day trip to Budapest, from where he will proceed to Slovakia, another NATO ally that has seen few recent senior US visitors. The focus of Pompeo's trip to Europe is a US-driven conference on the Middle East in Poland later this week, which has been toned down after European allies were uneasy about promoting President Donald Trump's hawkish line on Iran. Orban is one of the few European leaders to praise Trump, sharing the mogul-turned-president's antipathy for migrants and his belief in promoting a Christian cultural identity. While the previous president, Barack Obama, tended to cold-shoulder Orban, the Trump administration has taken the opposite tack, but the strategy has little to show for it so far. US officials said that Pompeo will discuss ways to increase defence and economic cooperation with Hungary. While Hungary is treaty-bound to the United States through NATO, US officials are pushing for progress on a bilateral defence cooperation agreement, which would let US forces move freely in the country. Such an agreement could prove controversial if Hungary is the stage for a US military operation. And it would be sure to irritate President Vladimir Putin, who has considered Orban his closest friend in the European Union. Putin visited Budapest twice last year, with Orban welcoming him in defiance of Western efforts to isolate him over Moscow's support to separatist insurgents in Ukraine and its 2014 annexation of Crimea. The United States has also voiced worries over Hungary's growing relationship with China, including an agreement for telecom giant Huawei to develop the country's fifth-generation mobile networks. Washington has been ramping up pressure on Huawei -- with senior executives of the company arrested in US allies Canada and Poland. It warns that China could come to dominate the next wave of technology, with grave repercussions for the protection of individual data and the safety of infrastructure. Hungary has said it has no plans to revisit the decision to award the 5G networks contract to Huawei. And critics say that Washington's concerns have as much to do with preserving US commercial dominance as with security. 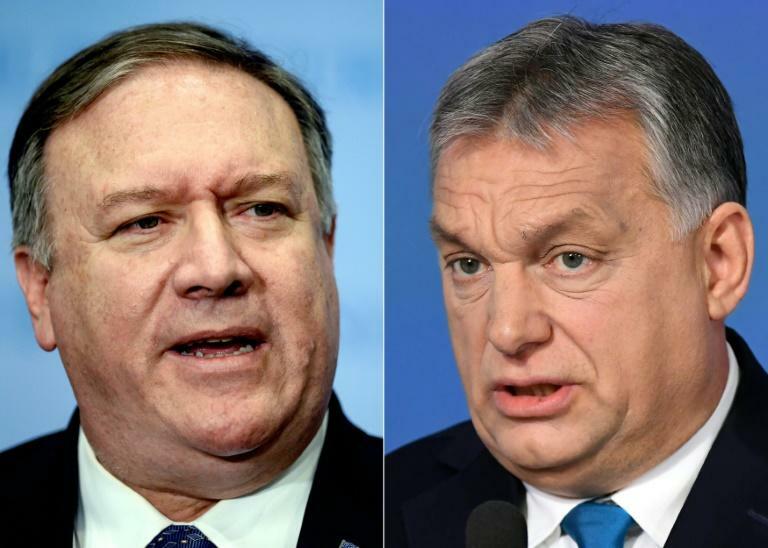 Pompeo also plans to discuss expanding exchanges between the US and Hungary to strengthen Hungarian independent media and the ability of law enforcement to crack down on corruption, officials said. The US has voiced alarm over the direction Hungary has taken in these areas recently, including a decision last year to return two Russian arms dealers home rather than to extradite them to face charges in the United States. 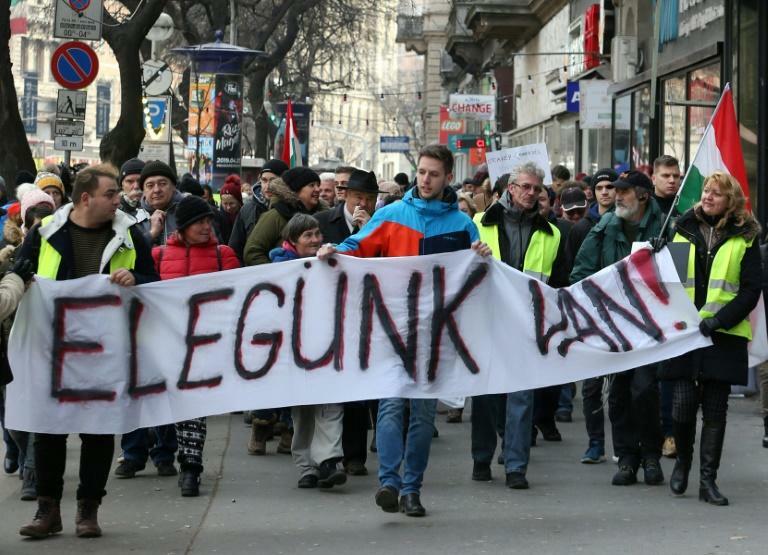 And the prestigious Central European University last year moved its key programmes out of Hungary after the government -- rejecting direct appeals from the US ambassador -- cracked down on educational institutions considered foreign. The university was founded by George Soros, the US-Hungarian billionaire and champion of liberal values, who has been vilified by the far-right in both countries with imagery that is at times anti-Semitic. Joerg Forbrig, an expert on Central Europe at the German Marshall Fund of the United States, doubted that the Trump administration could change Orban. 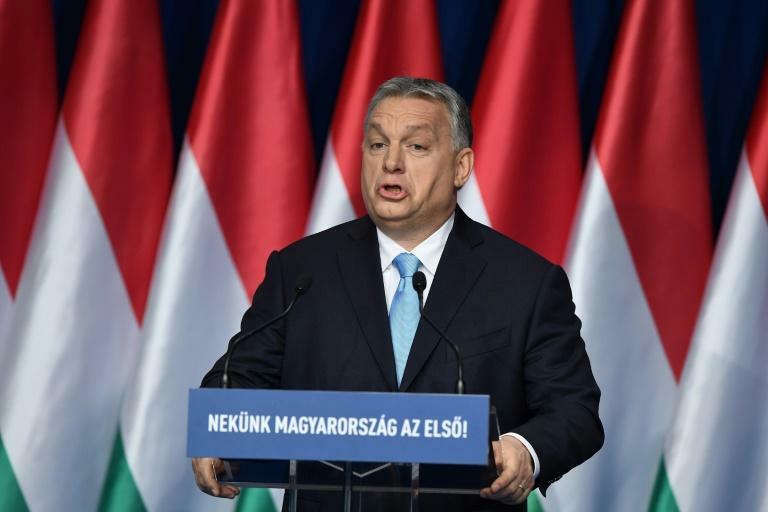 The European Union has for years tried to use its power of the purse to reform Orban but to no avail, with Hungary wilfully exercising its veto within the 28-member bloc. "The Hungarian government has been completely defiant to anything that the US may have wanted and there seems to be very little that anyone can do about it," Forbrig said.